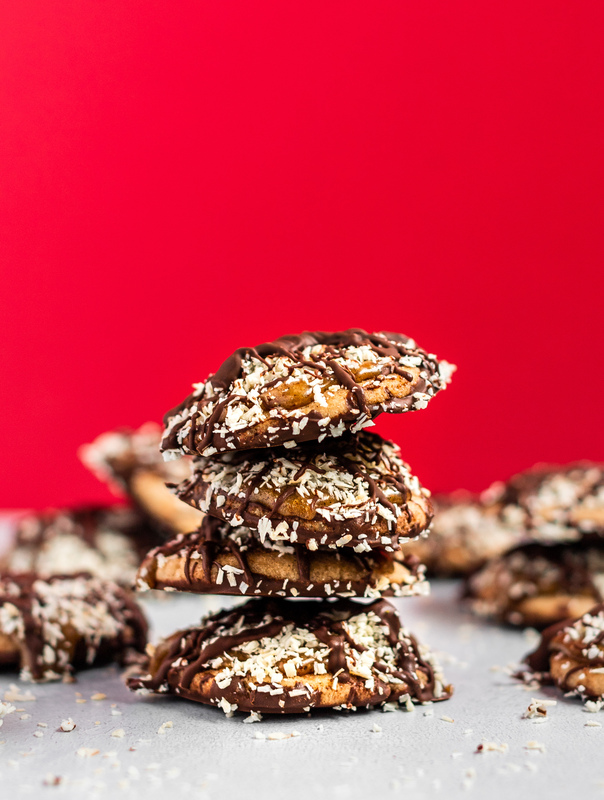 A digital holiday cookie book to help you make delicious vegan cookies. This will be an ever-growing e-book that will be updated annually (every November). If you purchase this e-book you will be notified automatically when the new version is released. As I am launching this ever-growing vegan holiday cookie book this year (2018), it will be on sale for $6.99 USD. The sale will end next year when the 2019 edition is released and will cost $12.99 USD. Get it now while it’s on sale and be notified automatically with additional recipes for years to come! All recipes are vegan and some are gluten-free. In the Pantry Essential section, it will list all the ingredients used in the e-book and even recommend brands that I prefer to use. If you are a cookie fanatic, or want to try new cookies that are made simple and plant-based, then this book is for you. This year, 13 vegan cookies were created. All cookies were tested numerous times and were shared with family and friends for feedback and suggestions. Nonetheless, I am confident that you are going to love these vegan holiday cookies as much as my friends, my family and I do.